McALLEN — More people have been employed in South Texas than they have in over a year, showing a continued confidence in the local economy and a momentum that will, most likely, eventually stagnate. McAllen’s unemployment rate dipped to 4.5 percent in September, the best in the region and a 0.4 percent decline from the month before. Edinburg checked in at a 4.7 percent unemployment rate in September, the second leading rate in the Rio Grande Valley, and a 0.3 percent drop from the month before. Harlingen and Brownsville registered 5.5 and 5.6 percent unemployment rates respectively, both decreases from prior months. 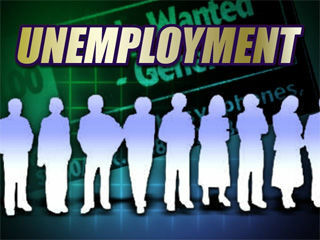 Hidalgo County’s unemployment decreased as well, now sitting at 6.2 percent. Cameron County’s rate dropped below 6 percent, now at 5.7 percent. Starr County dropped to a 8.6 percent unemployment rate. President Trump and leading Republicans, including both Texas Republican U.S. Sens. John Cornyn and Ted Cruz, have pointed to the tax relief bill passed last year as a reason for the recent job rates. Cruz, up for re-election in November, has stumped across the state focusing on “jobs, jobs, jobs,” among other issues. Trump, during a rally on Monday in Houston for Cruz’s re-election, said Cruz has “defended your jobs,” to a loud cheer. Mayor Jim Darling noted an efficient emphasis the business community in McAllen has had. Mike Willis with Workforce Solutions, the workforce development board under the direction of the Texas Workforce Commission, studies the trends regularly. Willis also said history points to a strong month of October. “If the current and normal seasonal trends continue, we may well approach the lowest recorded unemployment rates for some of our cities and counties when the October reports are released,” Willis said.